Long before Aqua Moto Racing Utopia was ever confirmed for the Nintendo Switch, it was planned for the Wii U. But, every time it felt like the game was close to launching, the launch never came. 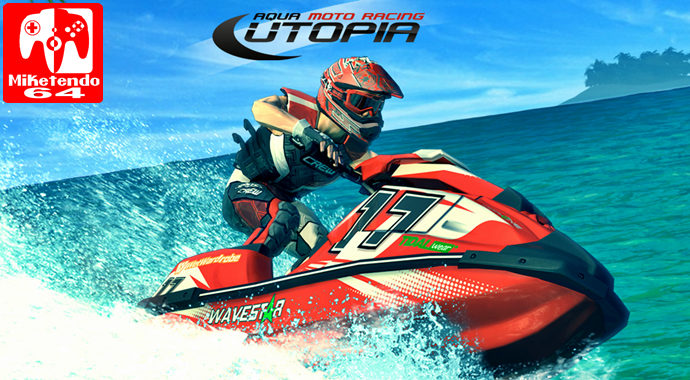 The Moto Racing™ series game developer Zordix revealed on Twitter today that all work is finished on the jet ski racing game Aqua Moto Racing Utopia, and that the aquatic racer will soon be released on the Wii U™ Nintendo eShop. Players can expect the most content filled Jet Ski racing game ever made. Utopia features a plethora of watercraft and race tracks. Split screen multiplayer races as well as 4 unique party games for up to 4 players will also be available at launch. Aqua Moto Racing Utopia™ is ready for the Wii U™. Get set for the wave ride of your life! Having enjoyed it immensely on the Nintendo Switch, it’s great to know those still with a Wii U to call their own, can expect to go hands on with the game soon enough. When a launch date does come, we’ll be sure to pass on the good news.